If you're in a hurry (because you're meeting Dr. Watson at 221B Baker Street for lunch) jump straight to our jobs page! 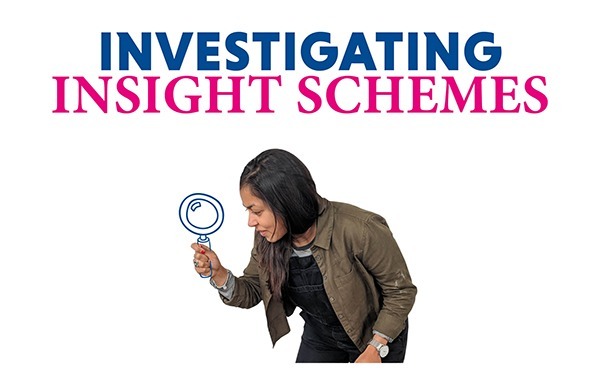 An insight scheme is an opportunity to work on real life projects which will contribute to a business’ activity. This can vary depending on what industry you are in however it’s a great way to engage with the type of work the organisation does and discover if you enjoy it. Workshops always play a key role on insight days. They help you develop skills in areas such as time management, communication and resilience. We highly recommend you pay close attention and ask lots of questions as these workshops will help you when applying for internships or job roles. Additionally, there is always the opportunity to network. Networking is a great way to stay in touch with senior members of staff who can assist you with applications, mentoring and even career choices. Take this opportunity and run with it! Why even apply for an insight day? On top of learning about what you do and don’t like about a job / industry, it’ll also make you stand out from other candidates when applying for jobs or internships. A lot of employers fast track students who have impressed on the insight days to their internship and placement schemes. This means you miss a lot of the application process and join near the interview stage to impress the recruiters with your new expertise of the company and the industry. Essentially an insight day is a great way to investigate roles you may be interested in and see if they work for you. Think of it like a ‘try before you buy’ experience. Employers are not expecting you to have lots of previous work experience. If anything, insight days have been designed to get experience onto your CV and develop your skill set. To get ahead of the game, applications usually close in January so make sure you keep a beady eye out for what’s on offer. 3) Ask us any questions on Twitter or Instagram - we're here to help!